The respondent presents a credible threat to the physical safety of the petitioner or the petitioner’s minor child. Restraining orders are available to spouses, former spouses, related adults, persons who are living together or who have lived together, and parties involved in an intimate relationship within the past two years. Restraining orders are generally obtained ex parte, meaning that a party can obtain a restraining order by meeting with the judge without the other party present. Once a restraining order is obtained, however, the restrained party can request a hearing to contest the order. Orders obtained ex parte can be dismissed when there is a hearing and the other party is there to tell their side of the story. 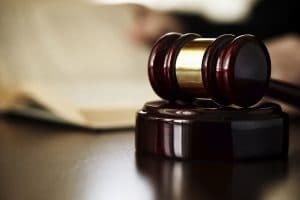 An experienced attorney can help prepare you for a restraining order hearing and make sure that your side of the story is properly presented to the judge.